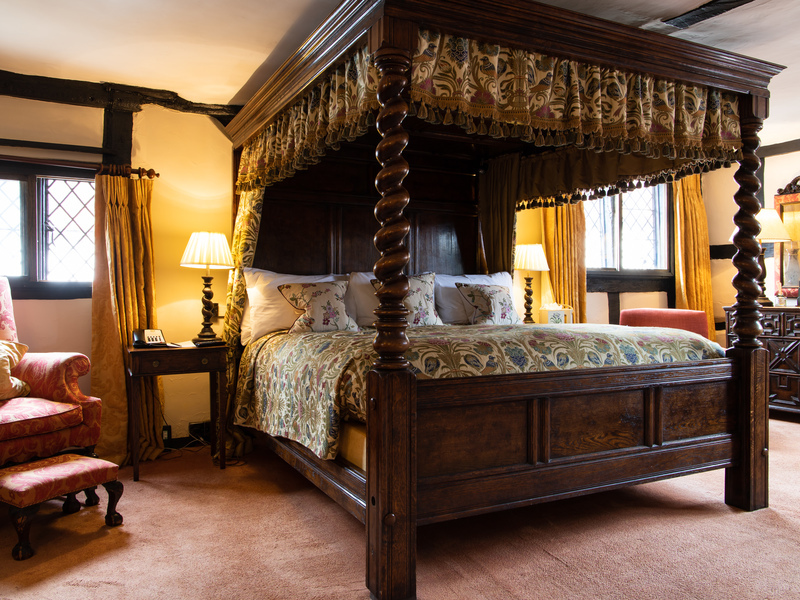 There are fascinating stories associated with many of the rooms: a secret passage reputedly used by fleeing smugglers, a wig closet that may be the last one left in a hotel in England and a suite said to have welcomed the Queen. 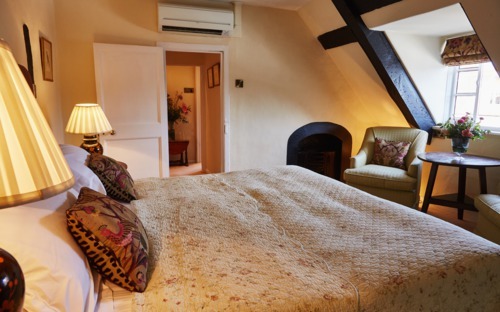 Larger rooms, some with separate sitting rooms and all in the oldest part of the house. 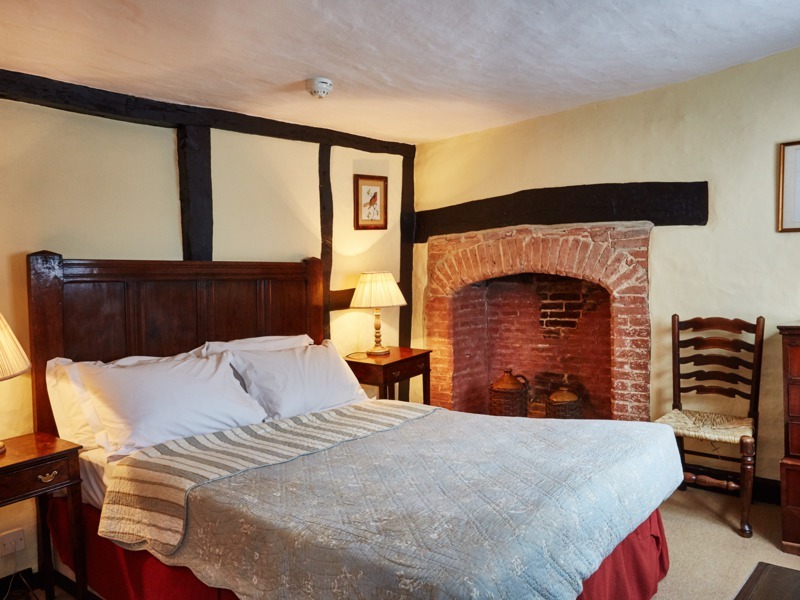 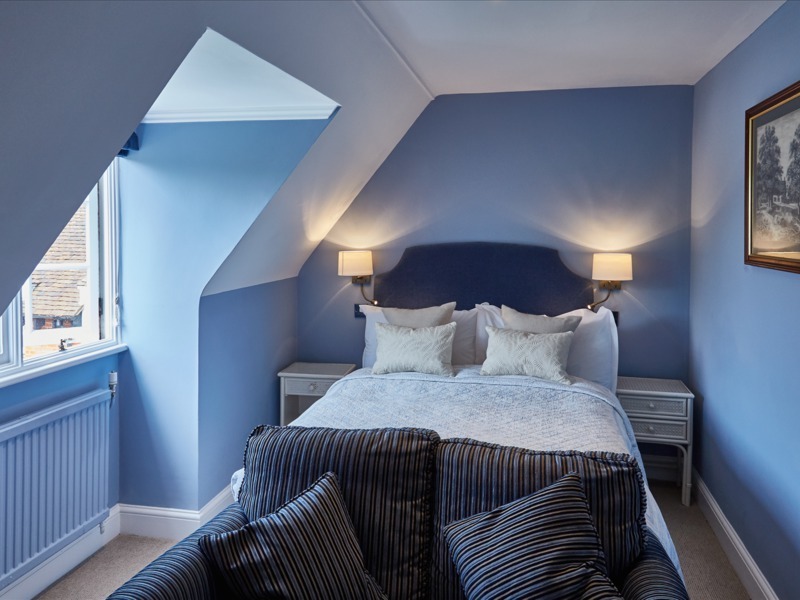 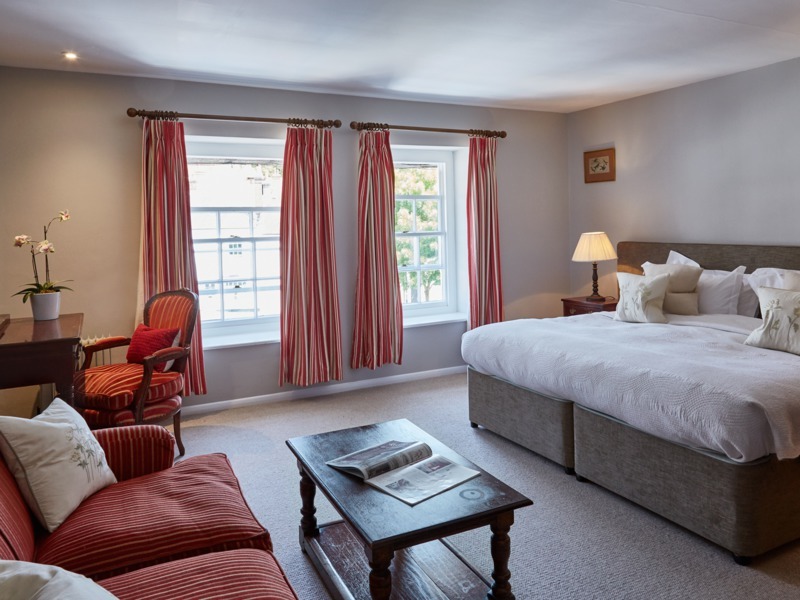 Perfect for families and those looking for an extra special night away. 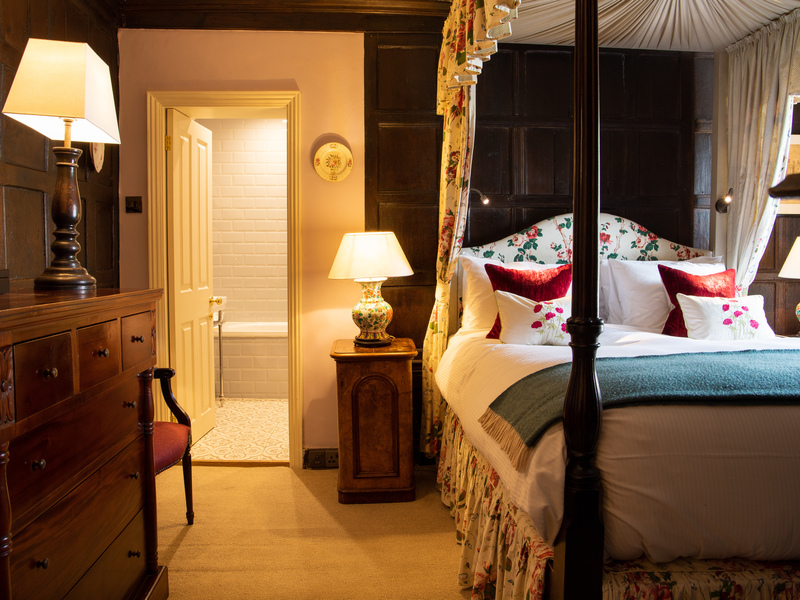 A choice of classic English-style rooms, to a more modern, simple design. 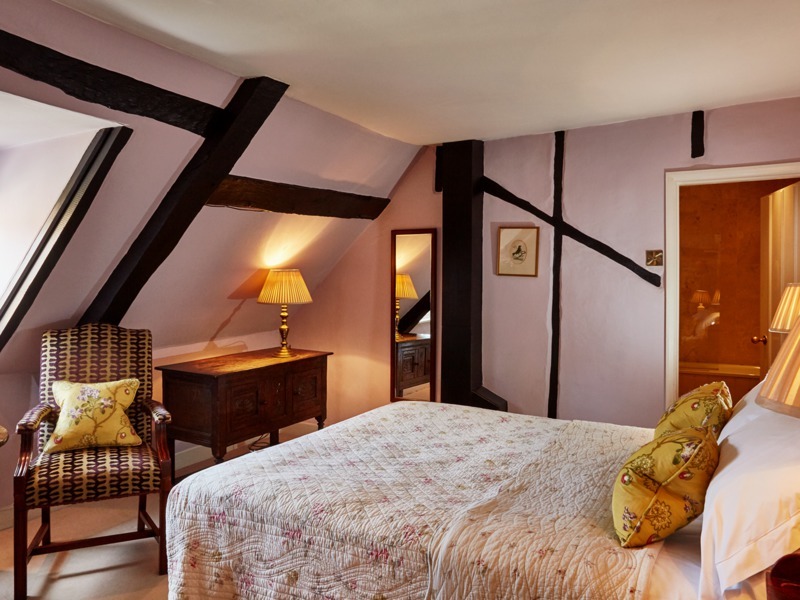 All rooms are individually decorated using beautiful fabrics and filled with antiques and art. 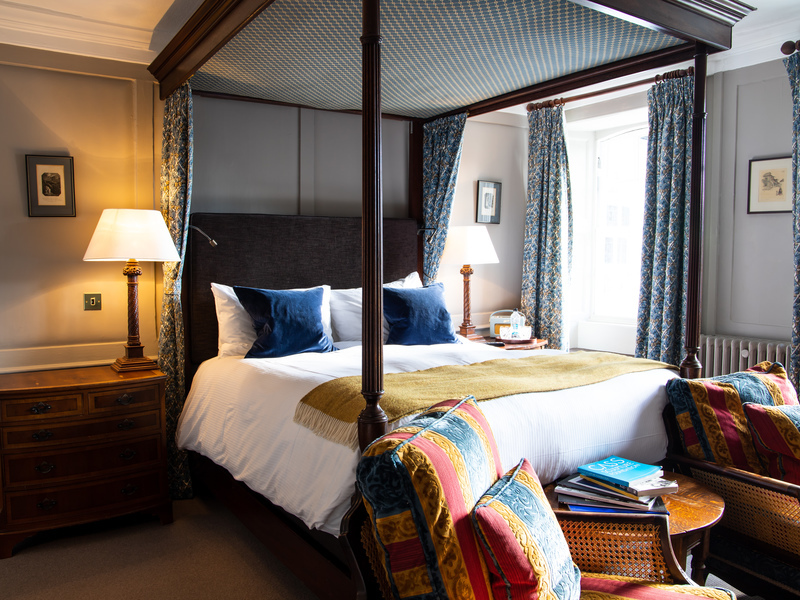 Our room names are taken from nearby polo fields, past guests or authors known to the hotel.